Ammermüller continues to lead the championship with 91 points, Yelloly, however, is closing the gap. Only three points separate the drivers after the race on the Hungaroring. 19-year-old Andlauer ranks third after earning 65 points from six races. 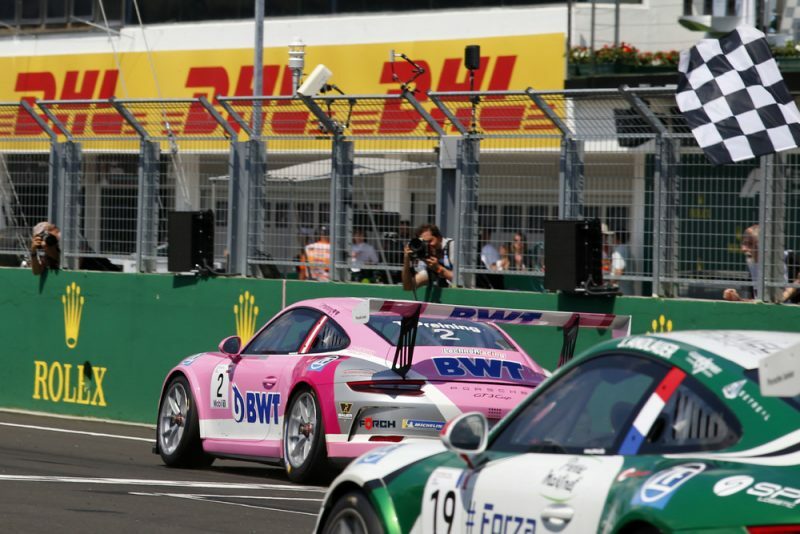 The Porsche Mobil 1 Supercup now heads into a four-week summer break. Round seven of the international one-make cup series will be contested in Spa-Francorchamps from 24-26 August. Lining up to contest this round is the Formula E driver Felix Rosenqvist. The 26-year-old Swede will pilot the VIP vehicle with the starting number 911 on the tradition-steeped racetrack in the Ardennes.